This is the best shampoo and conditioner I've used in a long time! I bought each for $3.96 at WalMart (Canada). 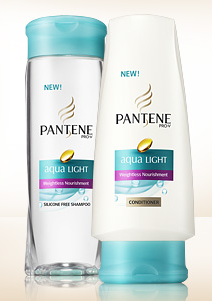 The shampoo is silicone-free (as it states on the bottle) and both are advertised as "Weightless Nourishment". After using these both, my hair feels flowy and soft and generally better than any shampoo and conditioner have made my hair feel. This is a great moisturizer that I discovered at Zeller's (Canada) for $6.99. It advertises that it has Goji berry and Acai Berry and it will 'soothe skin & fight free radicals'. It also does not contain parabens, synthetic dyes or sulfates and the packaging is eco-friendly. The first thing I noticed was the smell. It is amazing! It smells fruity and fresh. It's lightweight and not oily, but will leave your skin with some shine. Because it is antioxidant-rich, it is good to use after you've been outside in direct sunlight. I've been applying a small amount of this to my hair while it it's quite damp. It makes my hair easier to comb through and gives it a bit of softness. I've tried a few other brands which use argan oil in their products, and I am liking the Organix brand the best. The Organix brand uses few ingredients and this product in particular is sulfate and paraben free. I bought it for $8.99 at Shoppers Drug Mart (Canada). This penetrating oil is not 100% argan oil, but it does contain argan oil. I have yet to try argan oil in its pure form. I noticed I had more split ends than usual, so I decided to buy this at WalMart (Canada) for around $8. The instructions say to leave it in your hair for 5-10 minutes, so I use it in place of my conditioner and leave it in for around 5 minutes. Most of the ingredients are extracts from different plants, which is great! After my first time using this product, most of my split ends had been repaired, and after my third use, almost all of them were repaired. I believe Live Clean is a Canadian brand and their products are made with up to 98% plant ingredients. I've done a review on this product which you can read by clicking here. I've abandoned all other foundations in favour of this one. It is advertised as a 'multi-purpose base colour' meaning that it can be used as a concealer, tinted moisturizer or a foundation. The colour Dark Yellow seems to suit me best. If you mix it with your moisturizer, it'll give you light coverage, and if you use it straight, it'll give you medium coverage. I use my fingers to apply it and a Beauty Blender to blend it in. I also use it in combination with my next favourite product. I bought this at The Real Canadian Superstore during one of their No Tax events (it was around $12). No Tax events are a big deal for Ontarians because our sales taxes are so high! I'd heard great things about this primer and so far it's been living up to all the great things others have said. It really does add some 'glowiness' to the skin. I've heard a few people say they were having trouble using it, so I tried it a few ways. First, I applied it to before foundation and only in spots I wanted to highlight. Then all over my face and under foundation. Then mixed in with my foundation. I think applying it first gives a better look, especially letting it absorb slightly. Mixing it with foundation creates a different sort of consistency that ruins the effect of both. It may not mix well with other foundations, either mixed directly or applied on top, but it'll be different for everyone regardless. I think this was about $5 at WalMart (Canada), perhaps even less. It's oil free and contains salicylic acid and, of course, green tea. 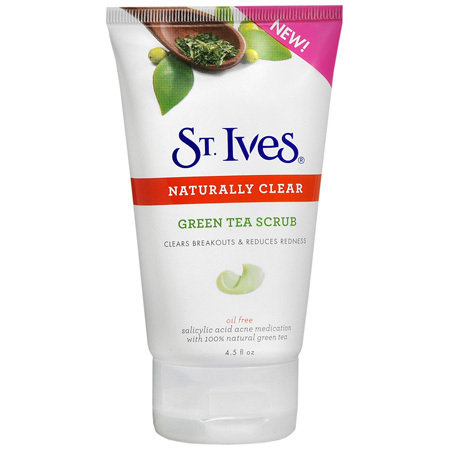 The scrub has very fine granules that help to exfoliate the skin. It has a very nice scent, and while it does provide some mild exfoliation, I don't think it really clears breakouts and reduces redness. I've used it for about 4 weeks and I haven't really noticed anything other than nicely exfoliated skin. If anything, I'd assume the exfoliation would create redness because of the irritation. It works well as a scrub, but that's all it has really done for me. The granules also don't completely wash off, so I rinse it off with a face cloth. I've had this for a while, but I've been using it a lot. It was around $20 at Sephora and I've had it for 6 months now. It works really well as an eyeshadow primer and though I've tried less expensive versions, I always come back to this one. You only need to use a small amount, and then you'll get 6-8+ hours of crease-free wear, depending on weather and how busy you are. I do prefer this over the Urban Decay Primer Potion because I find this one to have a better consistency, though that's just personal preference. I've done a review of this product which you can view by clicking here. I bought this when I went over to the US. I think it was around $6 at Meijer. I've been using this in place of my Stila Kajal Eyeliner in Onyx which is $20 at Sephora. I switched mainly because of the price. The Milani pencil is not as opaque as the Stila one, and not as glossy, but it's close enough that I decided to switch to the Milani one. It sets well on the lashline, but doesn't last too long on my waterline. It's not as long-wearing as Stila, but will last for at least 6 hours. I've reserved what's left of my Stila Kajal for special occasions.